According to Education Week, as a rule, exposing young people to art and culture can have a big impact on their development and success. 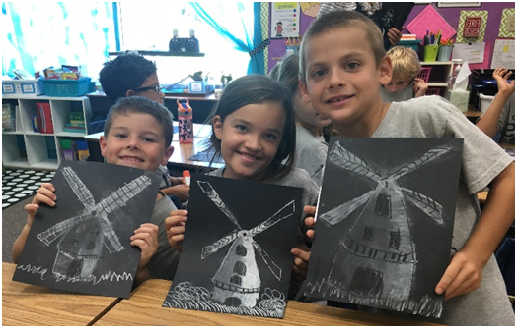 Aliso Viejo Christian School does not only offer, but fully integrate fine arts, music and theater into the curriculum for all grades.Here are just a few of the ways our Conquerors connect with the arts! The AVCS students will experience art and use their creativity to work on a variety of projects in grades JK-8 that will be used to enhance or illustrate their knowledge and or mastery of certain subject matter. In addition to this, our students in grades 1-5, have used Meet the Masters to provide engaging, enhanced art curriculum since 2002. The five artists that we study change annually. The program is taught by specialized docents, whom meet with each of our classes throughout the year on our campus. The Meet the Masters experience begins with a multi-media assembly using engaging PowerPoint slides, artist voices and music where the children learn about the fascinating lives and famous works of Master Artists. After learning the inspiration and techniques of each Master the children are ready for the real fun. This students will work in our art studio as our well-equipped teacher leads the students on a step-by-step journey through the art project. Often in the same medium, style or subject matter as the Master, the students will discover their creativity while developing confidence in their own unique abilities. 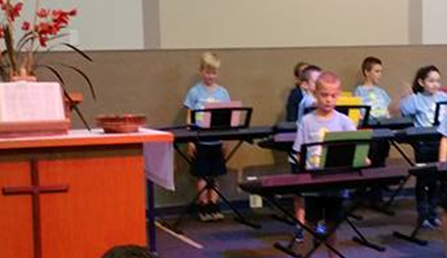 Four years ago, AVCS launched our instrumental music program to grades K-2nd with the purchase of 24 electronic keyboards. 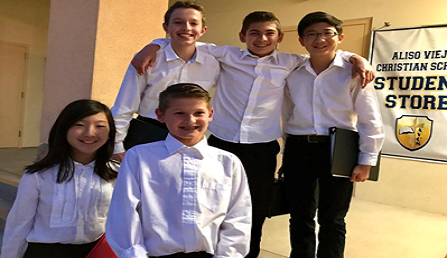 Today, Aliso Viejo Christian School boasts a solid instrumental music program available to grades JK-5th grade. 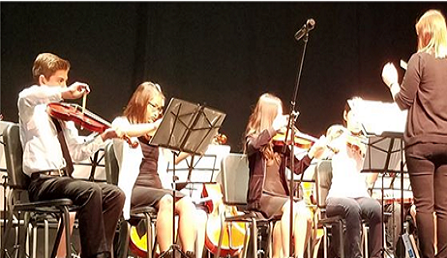 In grades 6-8th, our students may elect to participate in our Orchestra or Band classes. These students have progressed quickly to be solid musicians that demonstrate leadership in community-wide competitions as well as school performances. In addition to our own instrumental program, three years agoAVCS has partnered with the Pacific Symphony to launch the Class Act program on our campus..Class Act continues to enhance our existing school music program by providing additional musical experience through the Symphony. 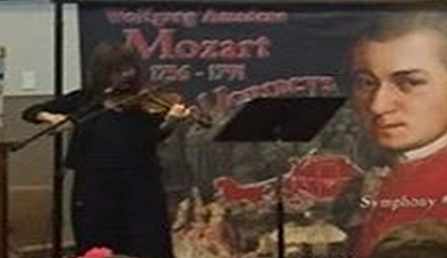 Each year, students form a relationship with a new Symphony musician who serves as a “Class Act teaching artist,” through activities including classroom lessons, ensemble performances, assemblies and a Youth Concert at Renée and Henry Segerstrom Concert Hall for older students in addition to an Interactive Performance on-site for younger students. All activities feature the music of the Class Act Composer of the Year. Dedicated volunteers from our school form the backbone of the program, and allow for a true partnership experience. Class Act has been selected as one of the nine most exemplary music education programs in the United States by the League of American Orchestras and the National Endowment for the Arts. 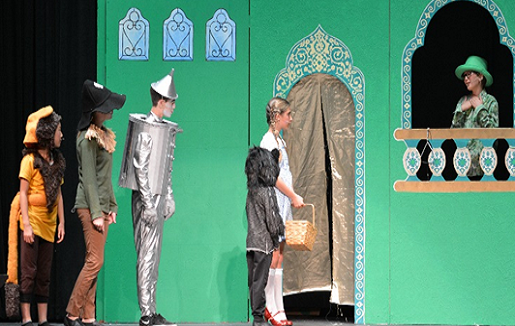 AVCS has a multiple opportunities for a student to experience dramatic theater. Beginning in Junior Kindergarten each elementary class will go to Drama Class with our Drama Teacher every other week for at least 40 minutes. During this time, the students will begin to explore the art of puppetry, role play, communication, public speaking and collaboration. In Middle School, grades 6-8, our students may take Drama/Art as one of their electives. This will give them opportunities to act, write scripts, create costumes, and participate in set design. 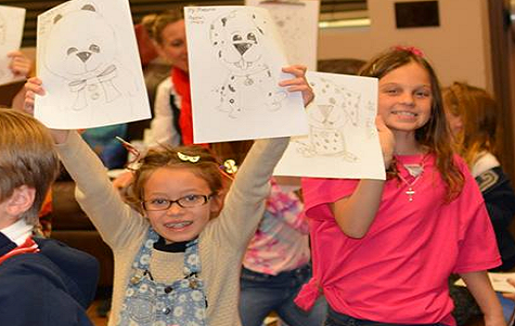 During the Art portion of this class, the students will explore the lives and techniques of the great master artists bringing them to life through several mediums including papermache’, clay, ink and paint. 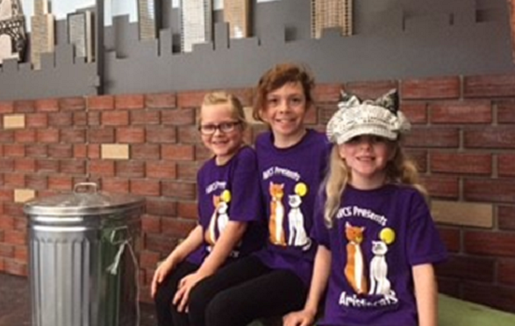 AVCS offers an after school Drama program that performs at least one amazing musical production annually. These performances have includedBeauty and The Beast, The Lion King, Alice in Wonderland, The Wizard of Oz and more! Our campus has an amazing event center and stage that is transformed into a Broadway-style theater experience for everyone to enjoy.